Description : The genus includes 40 species, most of them from Malaysia, Indonesia and the Philippines. These hardy herbaceous plants have beautiful foliage and are used as house plants throughout the world. Most of them produce branches freely and clumps are formed giving a showy appearance. Grow Clean Air Benefits: Aglonema’s promote healthier lives by cleaning pollutants from the air. The foliage of indoor plants removes pollution, but interestingly, it is plant roots that remove air pollutants at higher concentrations. This plant removes the following Volatile Organic Compounds( voc's) Benzene and Formaldehyde. 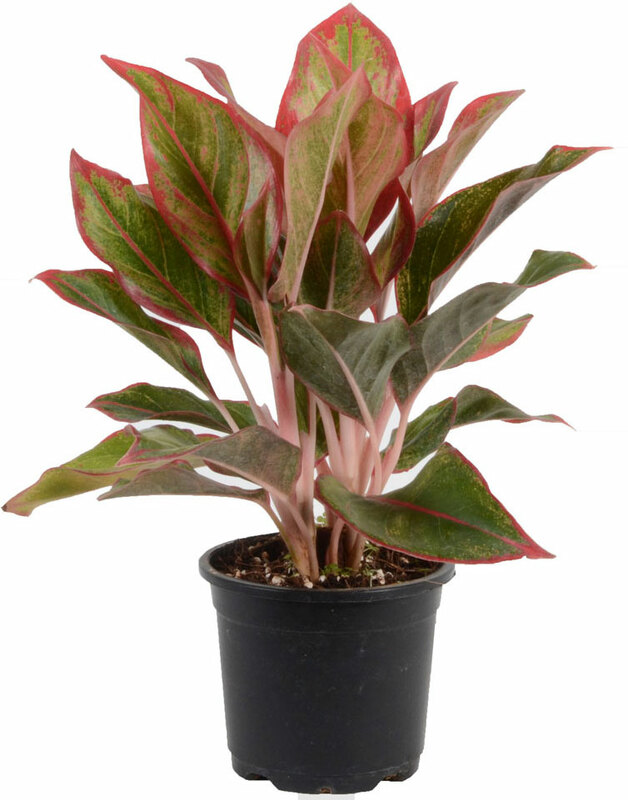 COMMON NAME: AGLAONEMA LIPSTICK GREEN-RED. BOTANICAL NAME: AGLAONEMA ROTUNDUM. A compact, attractive plant without stout stem. Leaves broad-ovate, 10-15cm long, thick, shinning deep green to coppery with prominent midrip and veins, wine-red underneath.